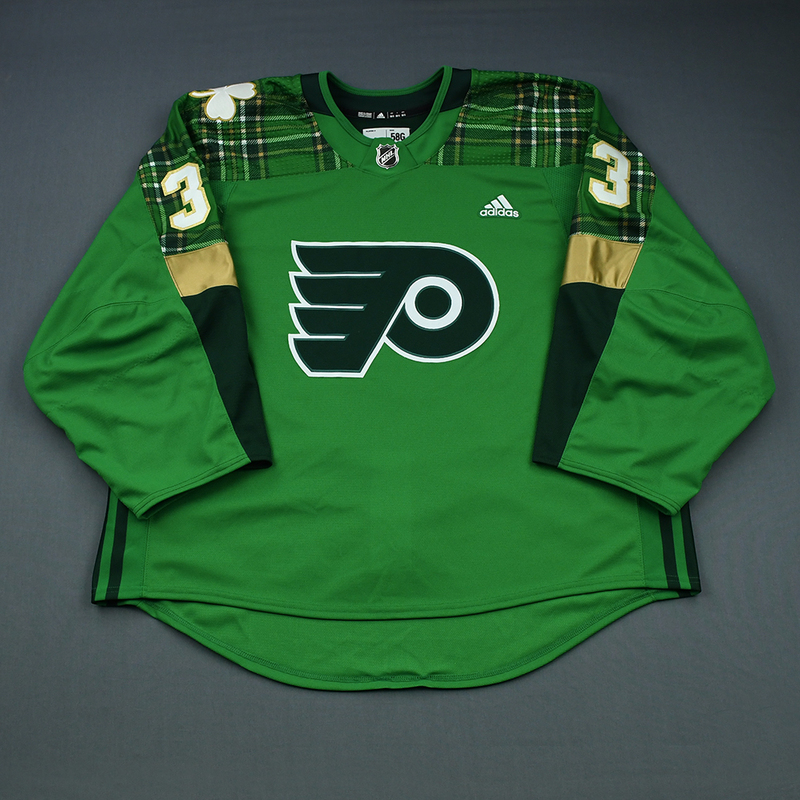 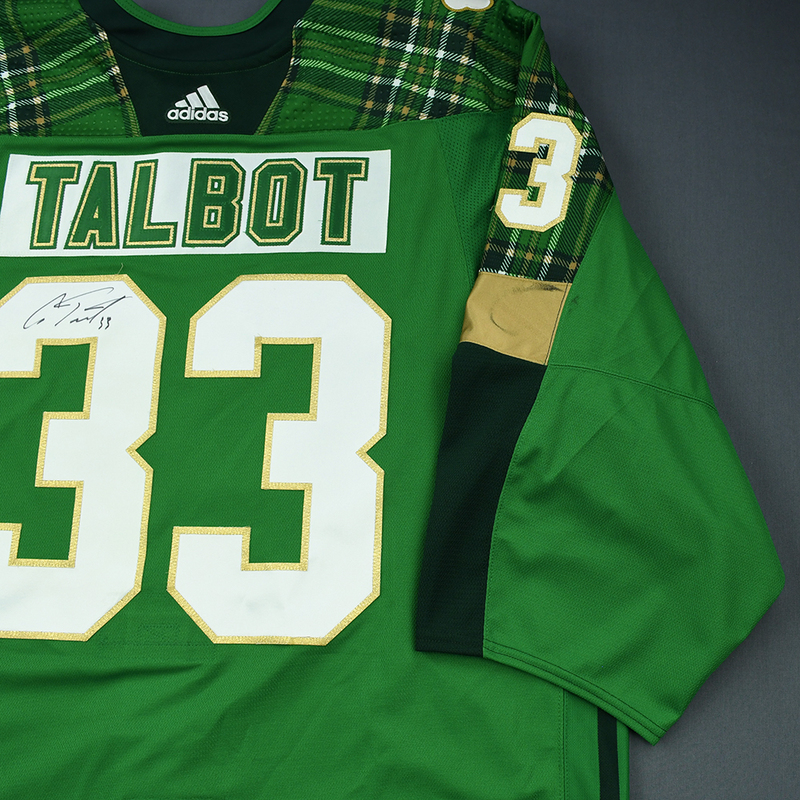 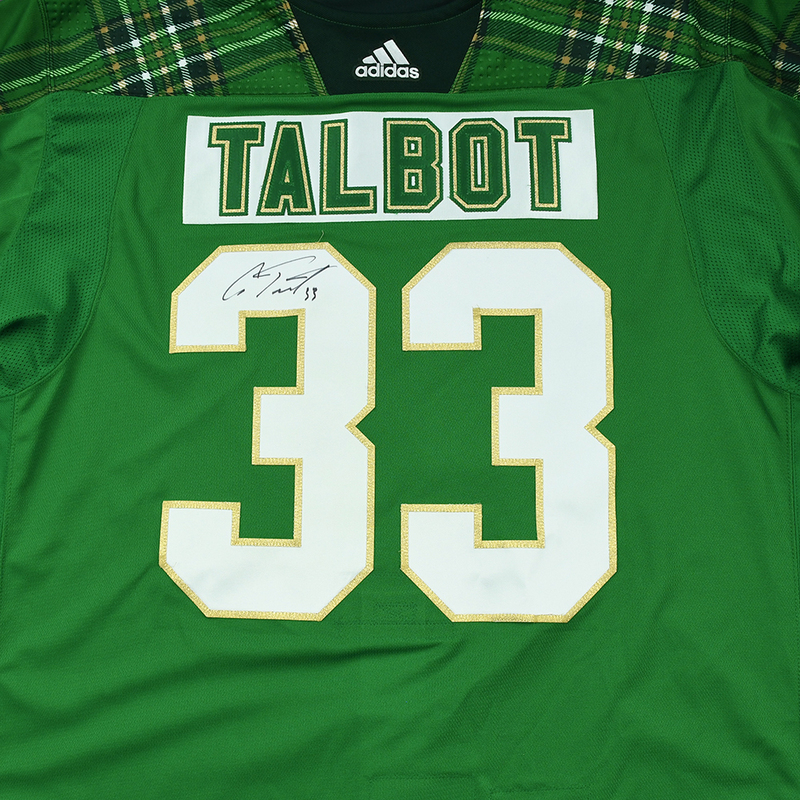 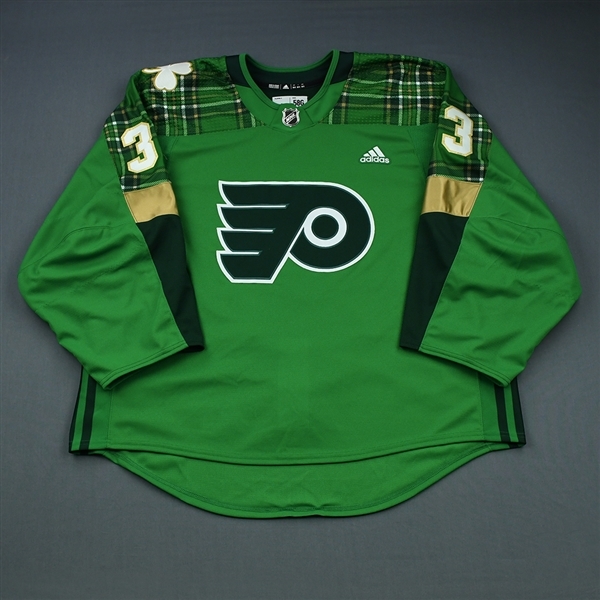 The Flyers-MeiGray Group Game-Worn Jersey Authentication Program is proud to offer fans and collectors across the globe the opportunity to own a piece of history ... the actual jersey worn by #33 Cam Talbot of the Philadelphia Flyers during pre-game warm-ups prior to the Flyers' St. Patrick’s Day game. The jersey was autographed by Couturier after it was worn. 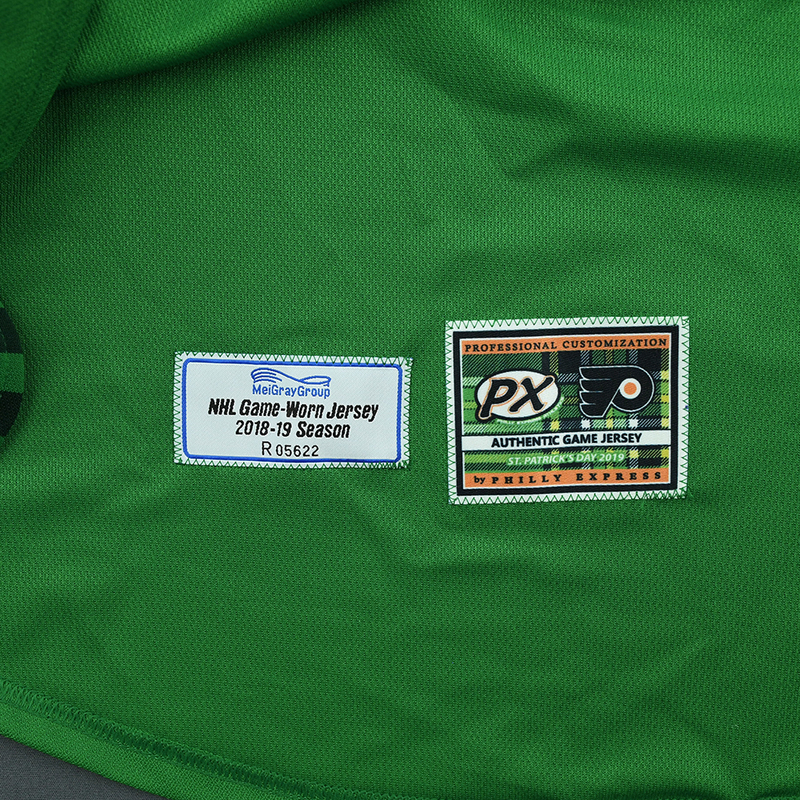 This green jersey is a 58G and is registered into the Flyers-MeiGray Game-Worn Jersey Authentication Program as number R05622.